By Keiko Okuhara, Bibliographic Services/Systems Librarian. 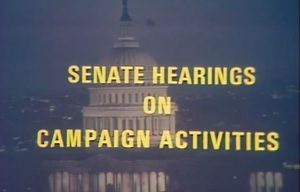 The American Archive of Public Broadcasting recently published an online exhibit called “Gavel to Gavel: The Watergate Scandal and Public Television.” This archive includes newly digitized material from the Senate Watergate hearings as well as coverage of the 1974 House impeachment hearings. 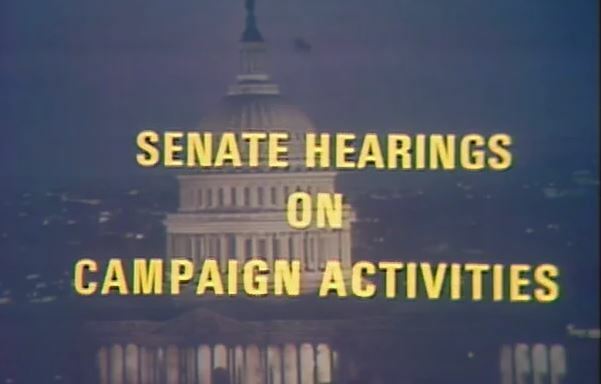 The exhibit provides access to context for the hearings not only for public broadcasting, but also for America as a whole and covers all the coverage, a highlights reel, an episode guide, and an essay putting the coverage into historical perspective. See http://americanarchive.org/exhibits/watergate for more information.